All of us have a love-hate relationship with webinars, yet they’ve become a standard marketing lever for technology companies. At their best they can be enlightening and educational. At their worst, they can be a fluffy infomercial. We all strive for the best-case scenario. But how can you tell if you’ve hit the mark? For me, it’s about the audience (quality and quantity) and the level of engagement as measured by the questions asked. Last week I was fortunate to host a webinar that hit both of these marks. It covered one of our continuously favorite topics, subscription pricing strategy. If you’re reading this, you’re keenly aware of how important pricing and packaging is for businesses with recurring revenue models and how different it is than for businesses who sell products on a one-time transactional model. Zuora does webinars on this topic at least quarterly and they’re always popular. But this one blew away all the others in terms of the audience and their engagement. We had 600 people sign up and almost half of them attend. Nearly everyone stayed for more than an hour and we had to cut off the Q&A with a backlog of good questions. Why was this one so popular? Two primary reasons – the topic and the speakers. First, the speakers were true domain experts. We had Deepak Sharma from Simon-Kucher & Partners, a Zuora consulting partner who advises clients on their go-to-market and pricing strategies. 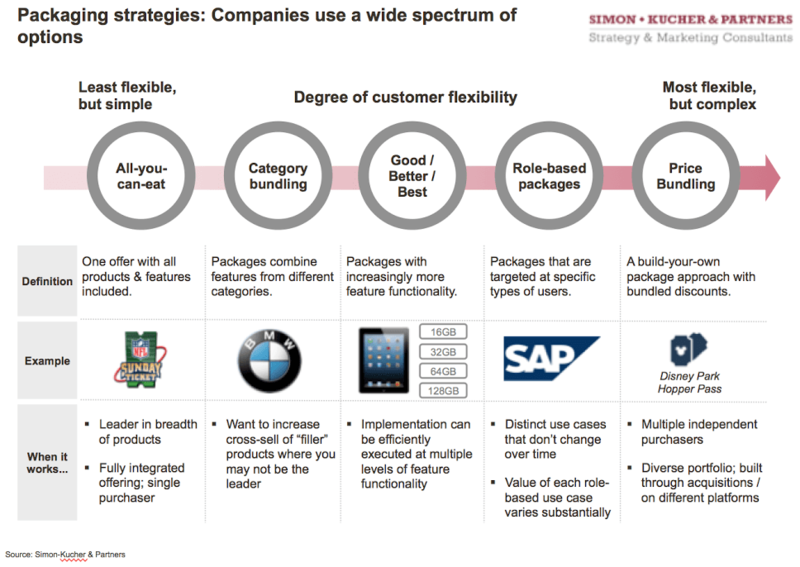 Simon-Kucher has a lot of experience with companies pivoting their business model to subscriptions and how to determine the best strategy and drive optimal execution. We were also joined by Gaurav Bahl from Intuit QuickBase. QuickBase is a great case study for subscription businesses as they’re driving innovation inside of a large legacy software company and Gaurav was in the driver’s seat through some exciting changes. Second, the topic was about subscription pricing strategy, namely “packaging” and how to determine the right set of feature-based bundles that best yield rapid new subscriber acquisition and long-term customer lifetime value. For some businesses, determining packaging is simple and based on size or capacity – small, medium, large. For others, it’s features – sometimes corresponding to the size of your customer. Other times, it’s more complex. Do some customers want and are willing to pay for certain add-ons? Are their some features that will hook customers to upgrade to the next and more expensive package? So what did we learn? Subscription pricing strategy is not trivial. Companies spend many business cycles to get it right. Pricing and packaging in a subscription business is a very dynamic process. The subscription model is built around nurturing your customer relationships. You may start off signing up new subscribers with a low barrier offering like a freemium model. Then over time, you want to offer paths for your subscribers to get more value as their needs grow. 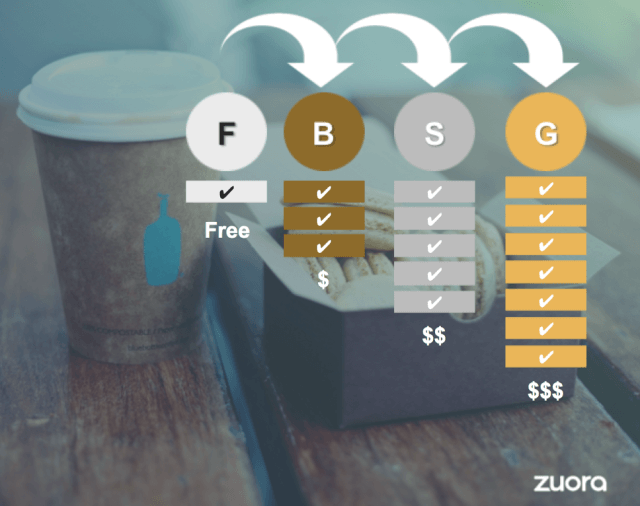 Whether they adopt new features or add more users (if they’re B2B), you want to make it easy for them to grow with you and pay you more for this new value they get from you. We polled the audience (n = ~220) and there was good representation for all the different models. The one that’s most popular is the “good-better-best” model, where functionality is tiered into progressively better bundles. Intuit QuickBase shared their own journey lessons, where they went from a one-size-fits-all model to one that best addresses the needs of their target segments and provides flexibility so customers so they can get more value that they’re willing to pay for over time. Attend Subscribed and you’ll get a full dose of pricing and packaging content. Email me at joe.andrews@zuora.com and I’ll send you a special discounted registration code. Read the new eBook by Simon-Kucher, Using Packages and Relative Price Points to Guide Consumer Behavior. And always, please tell us what you think about this topic and provide your suggestions for future pricing and packaging topics you’d like to see covered.